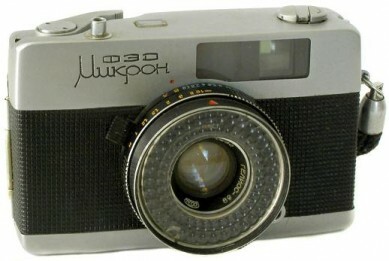 This is a half frame viewfinder camera with manual override. Focusing is by distance scale on the lens or symbols in the viewfinder. Shutter speeds are visible in the viewfinder as is a parallax frame for close-ups. The back is removable and the camera has a jack for flash but no accessory shoe. There is also a very rare version with white fabric and another commerative with a "60 years of the USSR" issued in 1977 and the olympic edition. The very first production was different it had rounded corners and a fixed door wrapped around the bottom. Mikron was in script letters on the front with FED on the top. These cameras are very rare and represent a pre-production batch. 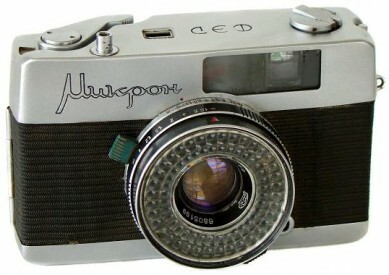 It has a soft black vinyl zippered case (source: http://www.commiecameras.com). Original price (in year 1986) 85 roubles. 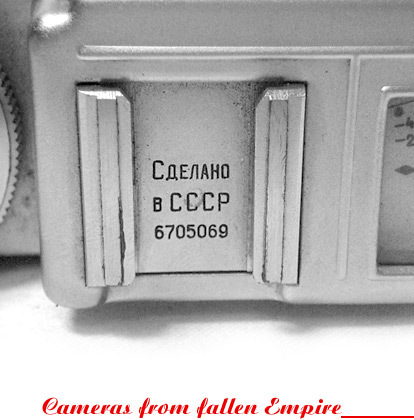 Another exclusive feature is commemorative engravings "25 Years To Kharkov Liberation" on camera's rear plate. FED engravings on the metal strap's head. 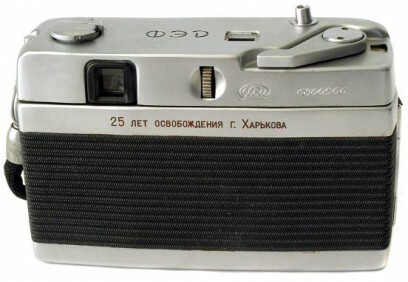 Camera from private collection in Russia. Seems to be one of the latest preseries-type Fed Mikron cameras, since my another Mikron #6807305 comes with new engravings already. Camera identical to camera #6800566 with few exceptions: no more serial number engraved on the camera's rear plate, no more FED engravings on the strap's head. No otherwise different. 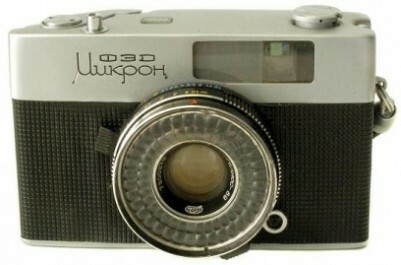 Camera opposite from E.Alexandrov (Russia) collection. 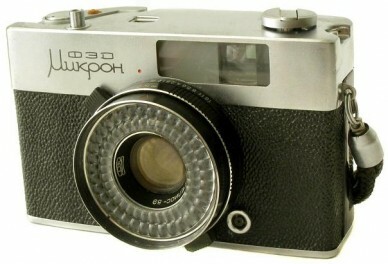 Camera identical to preseries version, but with new engravings on the frontplate already. Stil hinged rear-door. Produced in 1968-1972. An early Fed Mikron #7206697. 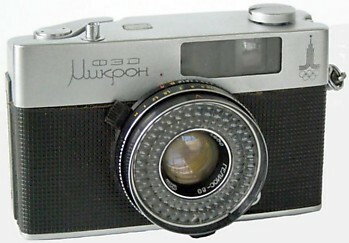 The most common version of the particular camera. Comes with removable rear-door already. Old FED logotype on the lens. Easy to find nowadays. The late modification of Fed Mikron has a few changes: different body finish; new FED logo on the lens faceplate (without serial number anymore), serial number engraved on the bottom plate; quality sign on the rear .